Vampires, werewolves, witches, kidnapping, murder and a sassy heroine. Hmmmm, sound familiar? Perhaps, but while supernatural romances and vampire hunters/detectives/lovers seem to be a dime a dozen these days, that doesn’t stop them from being both entertaining and a fun read. 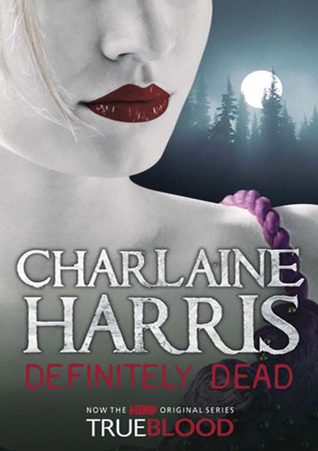 Definitely Dead is Charlaine Harris’s sixth novel adventure with protagonist Sookie Stackhouse at the helm, although Sookie (and the world Harris has created) has appeared in short fiction as well. I have not read any of the previous Sookie novels, although I have encountered her in the short form. For the sixth in a series, Definitely Dead is possibly a little overcrowded with characters. Some clearly have a backstory and others may be setting up for future adventures, but the overall effect is just a tad confusing. 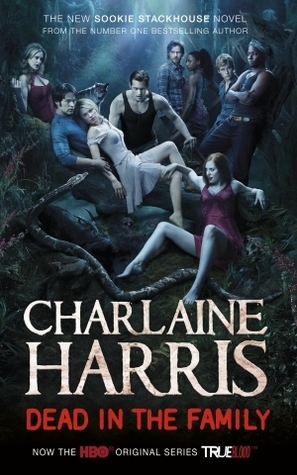 Harris diverges somewhat from the norm in these types of stories in that while Sookie is not your average human (she can read minds – not vampires though), her brother is a shapeshifter and she consorts with all manner of supernatural creatures, she is not a superhero. She is, in fact, a barmaid. In a small town. Not your usual heroine in these sorts of books. Comparisons to high profile authors in the genre are inevitable, but Harris stands up well. The plot is sound, if a little meandering at times, and the Sookie character has solid depths. There is a sexual undertone to some of the novel, but it is not overt, nor does it take over the story as sometimes seems to happen in other supernatural adventure/romances. I do have a couple of complaints. As previously noted, there seem to be too many characters in play for the scope of the story, and many feel quite superfluous; the author seems to try a little too hard for some of the characterization (the character of Quinn, for example, is quite blank to me, because he seems like somewhat of an amalgam); and some subplots seemed completely unnecessary. To illustrate the point, in the first part of the novel, Sookie assists in the search for a schoolboy, and finds him using her mind reading talent. While this serves to demonstrate her unusual power and its negative effect on her life, the interlude itself leant nothing to the main plot, and felt almost tacked on, fluffing or padding to expand the word count. The same demonstration could easily have been given with a similar event that actually moved the story forward, with much greater impact and less intrusiveness. Overall however, Definitely Dead is not a bad read if you like this genre. It doesn’t quite have the power and breadth of Anita Blake (Laurell K Hamilton), the fun of Riley Jensen (Keri Arthur), or the grit of Jaz Parks (Jennifer Rardin), but it is a nice addition to the trope nonetheless. I’ll be keeping my eyes open for the next one (and the previous ones too!). 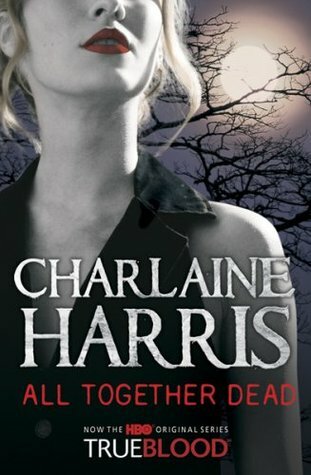 All Together Dead continues the ongoing adventures of psychic sensitive barmaid Sookie Stackhouse. Sookie has come up in the paranormal world somewhat in recent times, and is now acting as an advisor to the vampire queen Sophie-Anne, in delicate dealings among the vampire rulers. Twining into the story real world events like Hurricane Katrina, and its effects on the vampire world’s economics, Harris pulls us into the twisted politics of the supernatural inhabitants of her world, and explores challenging issues such as domestic terrorism, all within the confines of a well-paced and clever read. I enjoyed this book much more than the previous in the series. The massive cast seemed more manageable in this one, and I wasn’t constantly grasping around for information on yet another character. However, it was very interesting to see that Harris was not afraid to dramatically dispose of key players in the story in ways the reader does not see coming – that’s one way to reduce your growing character list! The plot was tighter and more believable, within the strictures of the supernatural, and I enjoyed the evolving relationships between Sookie (and I need to add that this ridiculous name is one of my main complaints about this series!) and her men. Having said that, some of the plot devices felt a little contrived and it wasn’t always possible to completely immerse in the story. I thought the planting of the baggage and coffins was particularly contrived and obvious, but in the overall scheme, it was a minor niggle. Harris has carved her niche in the plethora of paranormal series writing, with a strong heroine who is coping as best she can with her own abilities and the interest they create with her supernatural neighbours. I’ve found the Sookie Stackhouse stories (both short and long form) to be a little uneven in quality, but All Together Dead holds up very well against the current crop of paranormals. It’s not ideal to read without knowledge of the prior books, but once the book gets into the action, it can stand. Harris deserves consideration by readers of the genre, and fans of Hamilton, Briggs, Kessler and the like will be pleased they picked up the book. It was a surreal experience, reading Dead and Gone after inhaling almost two full seasons of the television series True Blood, which is based on these Sookie Stackhouse books. I’ve never been a huge fan of the Sookie books, although I’ve now worked my way through them all, but I’m in absolute lust with True Blood, and I wondered how this would affect my enjoyment of the latest book. From an objective standpoint, I think this is better than the previous book, and if I’d reread some of the earlier ones instead of this book, perhaps my interest would have been stronger. But with the events of the books having moved so far on from those depicted in the show, particularly in terms of characters and relationships, it had no positive impact on my reading. The ever changing “politics” and relationships in the series gets a bit tiresome – can’t poor Sookie just enjoy one relationship? Having said that, this book does have a pretty decent plot though, and I enjoyed reading it. 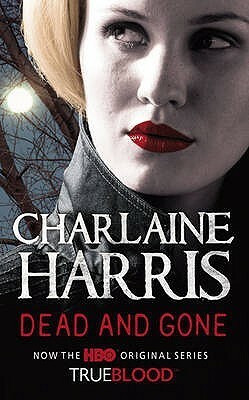 In Dead and Gone, the weres follow the lead of the vampires and “come out” as a supernatural race. What follows is a series of hate crimes against them, and Sookie finds herself caught up in a murder investigation. But hate crimes are the least of her problems, as Sookie’s own supernatural heritage sees her become a target for an even more powerful race – Fairy. There was nothing wrong with this book as far as it goes – Harris writes a decent crime mystery, and her characters are generally interesting to read. My biggest issues with these books are the same as those I have with almost every long running series and are problems apparently inherent to paranormal fantasy. These are a) the cast of thousands that continues to grow in each subsequent story, and b) the ever changing powers of the characters and “rules” of the world. I find it very frustrating when characters’ powers amazingly grow in relation to whatever threat they currently face, and even more frustrating when established conventions of the world building are tossed out the door when it suits the author’s purpose. It’s equally annoying, even as a series reader, when favourite characters are relegated to minor roles to allow for new “heroes” and when every single supporting character from the entire series seems to make a (usually unnecessary) appearance. Perhaps this is just a personal bugbear of mine, but these things detract from the plot in my opinion, and consequently knock me out of the story. In the long run though, Dead and Gone is another good instalment in a clearly popular series, and long time fans will no doubt enjoy it. I would not recommend this book as a starting point for new readers – the beginning is the best place to start with Sookie. There are some series that really should end. I have enjoyed reading Sookie for a number of years, and I love the TV adaptation True Blood, but sadly, Sookie has jumped the shark. I’m pretty sure this occurred as soon as the fairy storyline was introduced, but regardless of when it happened, I wish Harris would gracefully retire her telepathic Southern Belle and her massive cast and move on to fresh pasture. Sookie’s life is more complicated than ever, with her fairy cousin Claude insisting on moving in, her vampire boyfriend Eric having trouble with his sire, and the werewolves of Shreveport asking for favours. Add to that Sookie’s ex, Bill, needing help and the general malarkey that goes on in Bon Temps, Louisiana, and this book is packed with “stuff” happening. The main problem I have with this book is that there is not a lot of cohesion to the plot. In addition, the characterisation of the main players has changed so significantly from the original outlines we met in the first books that they no longer have the appeal they once did. If the writing was tight and the story compelling, this wouldn’t really be an issue, but there’s very little suspense in the book, which means it’s easy to put down and hard to pick back up. I also found that there was a significant piece of story missing. After the events of the previous book, Sookie was left very traumatised and understandably reluctant in terms of sexual relations. This changes in Dead in the Family, but the reasons are vague. If I hadn’t read the recent A Touch of Dead anthology of Sookie stories, in particular the disturbing story “Gift Wrap”, I would have had no idea about the reason for Sookie’s changing feelings. I think this is a major failing of the novel, and is unfair to readers who haven’t read the anthology. It might be a minor part of the story, but I don’t think it’s a good thing for authors to rely on readers having managed to get their hands on every other story and book they’ve written! In all, Dead in the Family is readable, as Charlaine Harris always is, but I’m over the Sookie stories and the lack of driving plot. Fans of the series and the show will no doubt continue to want more, but I wouldn’t be going out of my way to read further. Mindreading human (sort of) Sookie Stackhouse is a magnet for trouble of the supernatural kind. Not only is her boyfriend a vampire, but she has all sorts of shapeshifters, fairies and other magical creatures harassing her regularly. It’s not just the supes though, because Sookie’s made some human enemies along the way as well, which never helps. This time, the action gets started when Sookie’s workplace, the bar of shapeshifter Sam Merlotte, is firebombed. Sookie mostly escapes injury, although that doesn’t stop vampire Eric Northam from insisting she get looked at by a hairdresser – yes, you read that right – providing a convenient introduction to the main story involving Eric and his “child” Pam. The book then lurches from plot point to plot point, labouring along without any real engagement of character or story before “climaxing” in the hurried and open-ended sort of way that has become the norm for this series. If I sound a little cynical about the storyline of Dead Reckoning, that’s because I am. 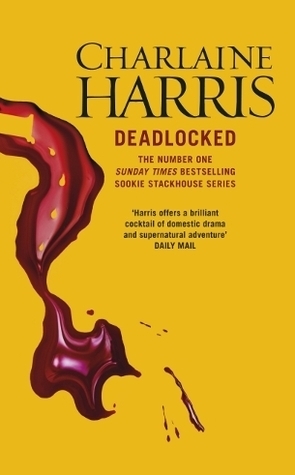 This series has undergone a revival in popularity thanks to the HBO television series adaption True Blood but unfortunately, it feels like Harris really should have wound it up by now. The books are quite long but very little forward momentum has been achieved in the past several novels. Sookie seems stagnant, and while Harris continues to throw new roadblocks in her path to happiness, there is little resolution of any kind, which makes the books seem kind of pointless. It’s not all bad – while the story was fairly slow, I did enjoy the sections where Sookie was acting as auntie to her cousin Hadley’s son (who has inherited Sookie’s own mind powers). This was a return to the strong relationships that helped make Harris so popular with the early novels. I was disappointed in the portrayal of Pam in the book though – she came across as such a weak character, when she’s always been smart, powerful and funny in the past. It seemed Harris was trying to show a softer side of Pam, but instead cut her fangs out, destroying what made her so much fun to read in the first place. I know that Harris has a million fans who wait anxiously for each new instalment of the Sookie books, but sadly for me, this series jumped the shark a while back, pretty much when Harris introduced the fairy plotline. As with many such long running series’, profit and popularity have taken precedence over production and plot – Sookie, her cast of thousands, and the ever shifting sands on which they stalk should be retired to make way for new, fresher worlds, but while they still make money, it’s unlikely to happen. For me, the Sookie books are a bit of fairy floss; they are easy to digest, comfort reads that don’t ask too much of me, intellectually, and sometimes give a bit of sustenance (did my metaphor get lost? Ah well.) I have to say, I get a bit annoyed with the over the top-ness of them at times – I liked Sookie far more in the early books, when she wasn’t so embroiled, enamoured and empowered (by that, I mean empowered with supernatural power, not empowered as a woman, because that’s always been one of the GOOD things about her!). I keep reading the Sookie books, but I don’t adore them. Deadlocked sees Sookie adjusting to the fact that all her friends are settling down, and still trying to come to grips with her relationship with Eric, and the other supernaturals around her. When an unexpected visit from the vampire King of Louisiana, Nevada and Arkansas ends in the death of an unknown girl, Sookie finds herself once again in the middle of a murder investigation, while at the same time dealing with her boss’s psycho girlfriend who wants to kill her, a bunch of displaced fairies who are struggling to find a place in the human world, and a rival for Eric’s affections. Just another day in Bon Temps really. Once again, the thing I most take away from a Charlaine Harris book is the sense that the writer’s pacing is terribly off. So much of the novel is really quite plodding, then in the last couple of chapters, everything happens! I would prefer to see more plot progression throughout the story. However, this one had me close to tears a couple of times, which earned extra points. I do wonder when Harris will decide to call it a day on Sookie. With the success of the True Blood series, which deviates quite significantly from the book series, and which is frequently a lot more exciting these days, surely the demand for new Sookie books can be pushed back, particularly as the cast of thousands has become so unwieldy, generally cluttering up and slowing down the flow of the story. I’m sure the income from each new book is nothing to be sneezed at, such is their popularity, but I wish Harris would wrap up in Bon Temps and move on to something fresh – because really, nothing ever changes here.